We, the volunteer Lake Bluff Youth Baseball Association board, are proud to maintain the traditions of our outstanding baseball program which is celebrating 60+ years of serving the families of Lake Bluff and surrounding communities. We are supported by MANY Volunteers and we thank all of you. The program would not be a success without you! 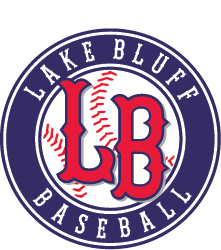 If you are interested in getting involved with Lake Bluff Youth Baseball Association, please contact us.